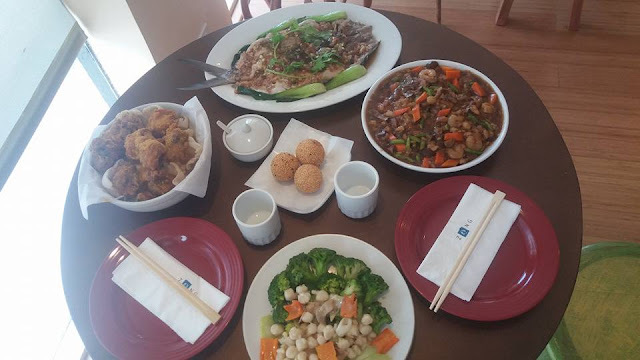 You know Chinese food is best when you're with a large group and when celebrating special occassions with the family. 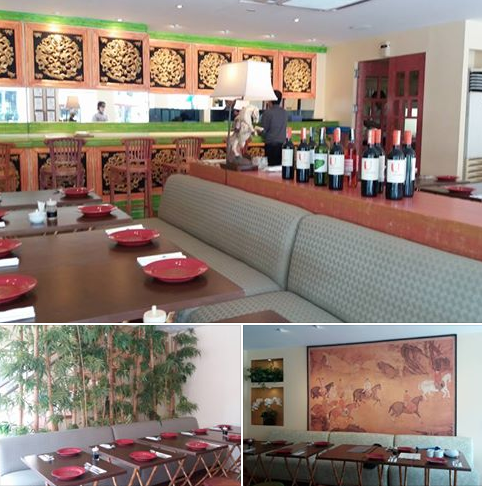 Now Zong Restaurant proves to be a hole-in-the-wall spot when it comes to casual Chinese Dining. Zong interiors are minimalist. The restaurant door opens to a staircase on the left hand side leading to a function room upstairs that can accommodate 60 heads on special occassions. The bamboo plants below the stairs gives color to the dining area on the ground floor, which in turn is a mix of light-colored stools and chair plus cushioned backseats with light-colored wooden tables. Zong combines Chinese wall decor pieces with modern furniture with minimalist lines. 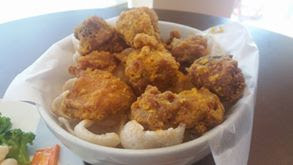 With the salted egg and crisp breading, this Chicken in Salted Egg Yolk recipe (P 398) brings your taste bud to life! It is great recipe to accompany with rice. This salty, juicy and crispy perfection sure is a crowd pleaser. Steamed Milkfish with Garlic (P 438) is a fresh take on seafood. It was infused with a light sauce and sprinkled with roasted garlic bits on top, making it so garlicky! 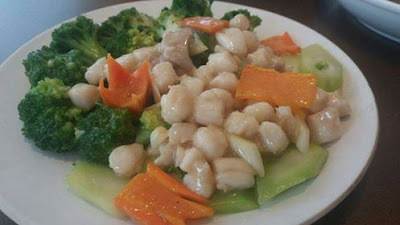 Sauteed Brocolli with Fresh Scallops (P 398) is something new to me. I don't know that blanched broccoli with scallops in a sauce makes a great dish! Our gustatory experience wouldn't be complete without fried rice! 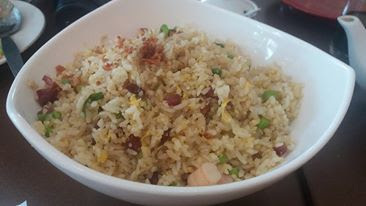 Yang Chow Fried Rice (P 298) comes with a variety of ingredients like bite-sized shrimp, scallops, diced Chinese sausage eggs and green onion--making it a complete meal in itself. Fujian Style Rice with Scallops (P 298) is the ultimate comfort food! It is.similar to regular fried rice except that it is served with a delicious sauce spread over its top. 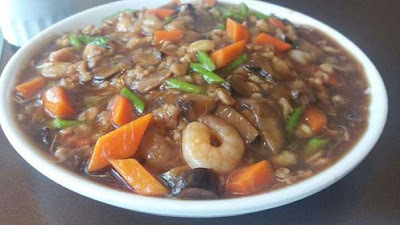 Fujian fried rice comes with a variety of ingredients, such as shrimp, scallops, mushrooms, carrots and chopped onion leaves. I so love the sauce's savory taste! 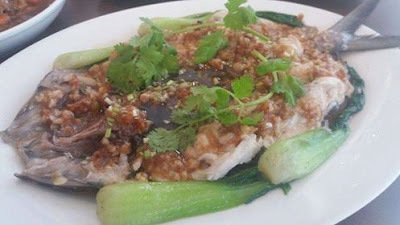 I highly recommend this Fujian Rice to anyone visiting Zong for the first time! Hop over to Zong and get a taste of Chef Pierre Tan's droolworthy, delicious, and homey dishes!